Other special guests set to appear alongside Skynyrd during the trek include the Charlie Daniels Band, the Marshall Tucker Band. 38 Special, Blackberry Smoke and Blackfoot. “It’s hard to imagine, after all these years, the band that Ronnie Van Zant, Allen Collins and myself started back in Jacksonville, would resonate for this long and to so many generations of fans,” guitarist Gary Rossington said in a statement. 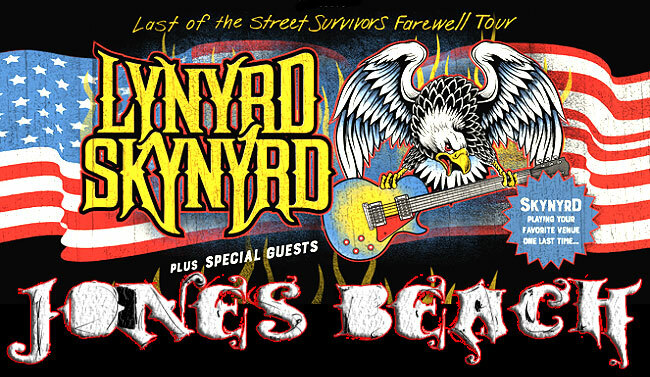 “I’m certain they are looking down from above, amazed that the music has touched so many.” Skynyrd's final tour comes 45 years after they released their 1973 debut, (Pronounced 'Lĕh-'nérd 'Skin-'nérd), which included Southern rock staples like "Gimme Three Steps," "Simple Man" and, of course, "Free Bird." The group would release four more albums before frontman Ronnie Van Zant, guitarist Steve Gaines, backup singer Cassie Gaines and more died in a 1977 plane crash.